I finally finished my January exams and have to catch up on my blog and friends from the networking groups. January is a great time to put some plans together for spring decorating, chack out the hot trends for the New Year and even the New Decade. The current edition of House and Home has the low down on all that’s hot for the “interior” you’d dream of. My good friend Lorna from Garrendenny Lane Interiors is featured in the current edition, as is Zee from Homebug and some other notable bloggers. It’s well worth checking out! 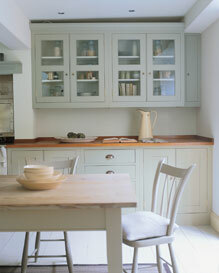 Farrow and Ball have always been a favourite of mine, I just love the quality and finish that their paint gives. They have a new ‘Estate® Eggshell’ range, which is a unique high performance paint finish which offers an environmentally-friendly alternative to traditional oil-based eggshell paints. According to the Farrow and Ball website the product is a pleasure to use as it is easily applied, quick-drying, and has virtually no odour. It offers excellent opacity and is hard wearing and washable. · Update old kitchen or bathroom units to give them a new lease of life. 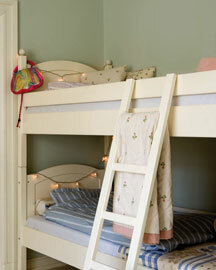 · Paint children’s bedroom furniture in contrasting colours to create a fun, bold scheme. 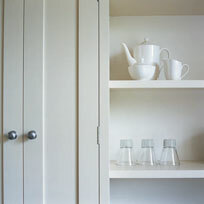 · Create a unique feature by painting picture frames, shelves and cupboards either to coordinate or contrast with a room scheme. · Hide pipework and radiators by painting them in the same colour as the wall paint, or use a bold contrasting colour to make them stand out as features in their own right. · Recycle some old furniture or finds from your local skip or even from jumbletown. You can benefit by personalising these items or finds to suit your interior or why not build up a new scheme around a newly revamped piece of furniture. Furniture to be revamped can be given a new lease of life, particularly items that are finds from jumbletown. Jumbletown for those of you who are not familiar with it, is a great site for finding old pieces of furniture that people are giving away free, you register on the site and when you spot an item that you’re interested in you post a request and then if you’re lucky you get to collect the piece. There are some great before and after pictures posted on the site so check it out for inspiration.